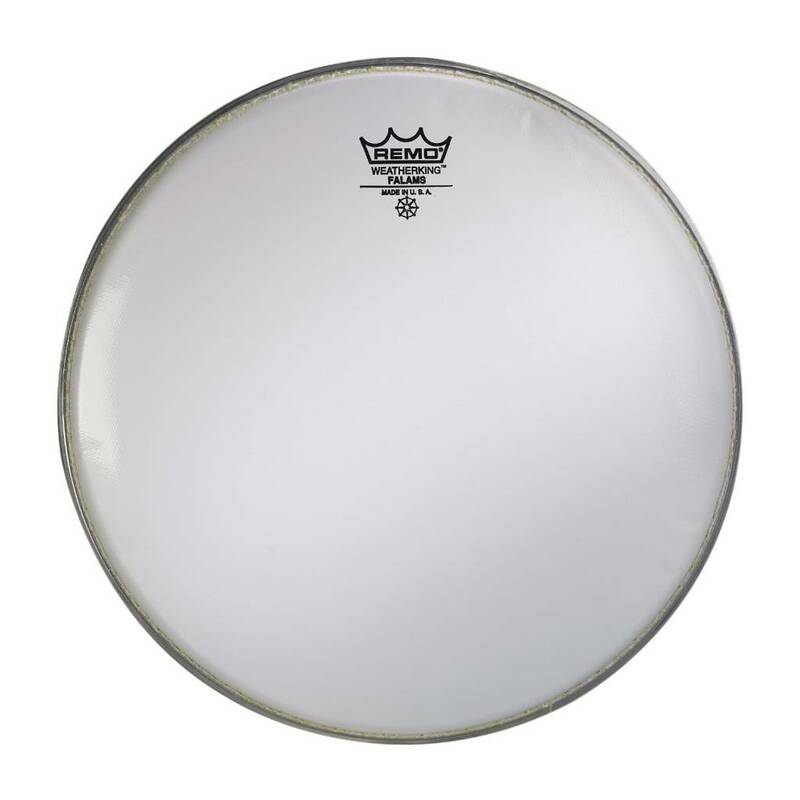 Remo Smooth White Falams Marching Snare Batter Heads combine a strong Kevlar weave with smooth white laminate. Remo Smooth White Falams Marching Snare Batter Heads combine a strong Kevlar weave with smooth white laminate. This layering allows the head to withstand extremely high tension without choking the sound of the drum, giving you a crisp, sharp attack.